Okay, this post is about how I can believe in the power of prayer and still remain a small "a" atheist. I am alive today, I am completely convinced, because thousands of people who I know and who I am completely unfamiliar with were pulling for me to survive. They prayed, they thought hard, they all wished me to recover. I cannot believe in a God that allows young children to suffer agonizing death. Nothing in me can find justification for that to occur. Therefore I must believe that whatever "greater power" exists in the universe, it must be unconscious, uncaring, in fact not a thinking being at all. It's just a mechanism inherent in the design,if you wish to call it that, of the universe. Those are the laws of entropy, the measurement of total disorder in a closed system. However if this were factually accurate then stars and galaxies could not form in our universe. All it would have is a cloud of cooling gas. So in localized areas, reversal of entropy is possible as long as the total entropy of the closed system continues to be the same. In subatomic physics they have broken the components of atoms down to particles called quarks. Each particle has multiple dimensions described by physicists with names like flavor, color, spin, etc. If two such quarks share precisely the same dimensions, as I weakly understand it, and one quark is affected by an outside influence, its matching quark, no matter how far away, responds as if it has received the same influence. It does not matter how far apart the two quarks are. This is the idea behind Science Fiction's instantaneous communicator. It violates Einstein's "no faster than light" limitation. It means that instantaneous communication across vast distances is possible. It has been tested in laboratories and is freaking out the physics community. It may mean that faster-than-light travel is possible. We as thinking beings are able by thinking the same thing at the same time, to affect local entropy levels and reverse entropy in a localized space. In my particular case, me. I am firmly convinced that all these people out there wishing me best, praying for my recovery, and asking thousands of others who do not know me at all to do the same are responsible for reversing entropy and saving my life. You can accept that or reject it, I do not care. This explanation works for me. I cannot stop thinking in a manner I consider to be rational. Please argue away in the comments. Überpost alert! It is something I've been studying and thinking about since 1993, and writing about here for 15 years, so there will be a lot of internal links, external links, links to stuff that only exists because of the Internet Wayback Machine, etc. and a lot of stuff you've seen here before if you've been here very long. It's about a lot more than education but it all starts there. The aim of public education is not to spread enlightenment at all; it is simply to reduce as many individuals as possible to the same safe level, to breed and train a standardized citizenry, to put down dissent and originality. That is its aim in the United States, whatever the pretensions of politicians, pedagogues, and other such mountebanks, and that is its aim everywhere else. I quoted the Trilateral Commission view of the educational system, namely that it's a system of indoctrination of the young, and I think that's correct. It's a system of indoctrination of the young. That's the way the liberal elites regarded it and they're more or less accurate. So the educational system is supposed to train people to be obedient, conformist, not think too much, do what you're told, stay passive, don't raise any crises of democracy, don't raise any questions. That's basically what the system is about. Watch the whole clip. It's about five minutes long. ...I am ambivalent on the topic of "indoctrination." My problem is with what that indoctrination entails. (Leo) Rosten objects to the failure of the educational system to indoctrinate moral values. I'd say it still does. It just doesn't indoctrinate goodness, kindness, and decency anymore. It indoctrinates "multicuturalism," "tolerance," "sensitivity," "fairness," "socialism," and "self-esteem." It fails to instruct in history, civics, ethics, mathematics, English, or for that matter, job skills. The education system receives "young skulls full of mush" and processes them right on through, sending them into the world with what Ayn Rand described as "a junk heap of unwarranted conclusions, false generalizations, undefined contradictions, undigested slogans, unidentified wishes, doubts and fears." In 2008 I wrote another überpost, The George Orwell Daycare Center, specifically illustrating the kind of indoctrination I'm objecting to, followed by an observation by historian, profound thinker and university professor Victor Davis Hanson. I believe that it is still possible to get a decent education out of many, possibly most school systems in this country - if you want one. This is due to those teachers who really do know their subjects and how to teach them, and students willing to do the work necessary to learn them. I think both still exist, however I graduated High School in 1980 so this may no longer be as true as it once was. It does appear that the ratio of such teachers and students to the general population is getting continually smaller. That question is "Why?" Our once unchallenged preeminence in commerce, industry, science, and technological innovation is being overtaken by competitors throughout the world. This report is concerned with only one of the many causes and dimensions of the problem, but it is the one that undergirds American prosperity, security, and civility. We report to the American people that while we can take justifiable pride in what our schools and colleges have historically accomplished and contributed to the United States and the well-being of its people, the educational foundations of our society are presently being eroded by a rising tide of mediocrity that threatens our very future as a Nation and a people. What was unimaginable a generation ago has begun to occur--others are matching and surpassing our educational attainments. That last one is from the introduction to the 1983 report of the National Commission on Excellence in Education entitled A Nation at Risk: the Imperative for Educational Reform. It was an act of war. Guerilla war. But the battleground had been carefully prepared, like the Maginot Line, for an entirely different war. ...between 1967 and 1974, teacher training in the United States was covertly revamped through coordinated efforts of a small number of private foundations, select universities, global corporations, think tanks, and government agencies, all coordinated through the U.S. Office of Education and through key state education departments like those in California, Texas, Michigan, Pennsylvania, and New York. Important milestones of the transformation were: 1) an extensive government exercise in futurology called Designing Education for the Future, 2) the Behavioral Science Teacher Education Project, and 3) Benjamin Bloom's multivolume Taxonomy of Educational Objectives, an enormous manual of over a thousand pages which, in time, impacted every school in America. While other documents exist, these three are appropriate touchstones of the whole, serving to make clear the nature of the project underway. Take them one by one and savor each. Designing Education, produced by the Education Department, redefined the term "education" after the Prussian fashion as "a means to achieve important economic and social goals of a national character." State education agencies would henceforth act as on-site federal enforcers, ensuring the compliance of local schools with central directives. Each state education department was assigned the task of becoming "an agent of change" and advised to "lose its independent identity as well as its authority," in order to "form a partnership with the federal government." The Behavioral Science Teacher Education Project identified the future as one "in which a small elite" will control all important matters, one where participatory democracy will largely disappear. Children are made to see, through school experiences, that their classmates are so cruel and irresponsible, so inadequate to the task of self-discipline, and so ignorant they need to be controlled and regulated for society's good. Under such a logical regime, school terror can only be regarded as good advertising. It is sobering to think of mass schooling as a vast demonstration project of human inadequacy, but that is at least one of its functions. 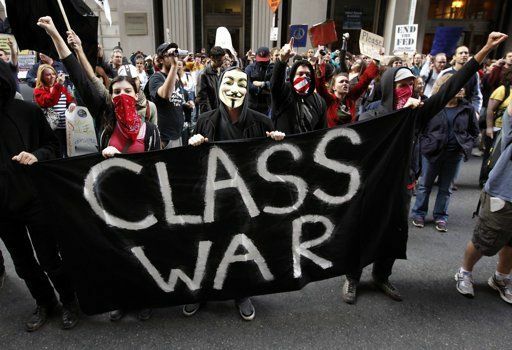 Socialist revolution will never happen in a nation if its culture continually reaffirms and enshrines middle-class capitalist values. 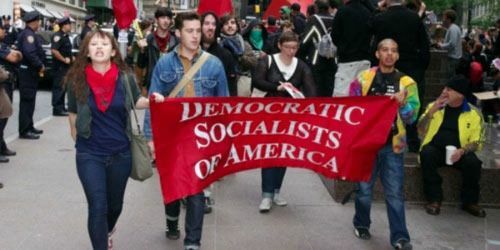 Thus, in order to pave the way for the arrival of a communist state, radicals must first insinuate themselves into and/or influence the media and educational system, and from these positions of influence change public attitudes about the status quo. To achieve political hegemony, you must first achieve cultural hegemony. This was a significant change from Marx's and Lenin's original ideas about communist revolution, which basically involved simply seizing power, public opinion be damned, and afterward propagandizing the masses to accept the new order. 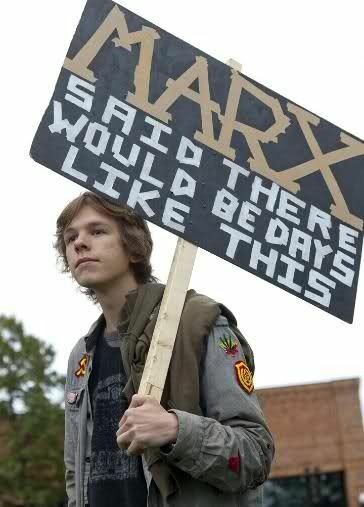 Gramsci realized that Marx had it reversed, and that the propaganda and indoctrination must happen first, in order to make the populace open to the idea of revolution; otherwise, rendered complacent by middle-class values and comforts, the populace would never consent to the upheaval of a revolution. The media and public schools were correctly identified by Gramsci as the most influential cultural institutions, and it was therefore those that the left realized must be targeted. 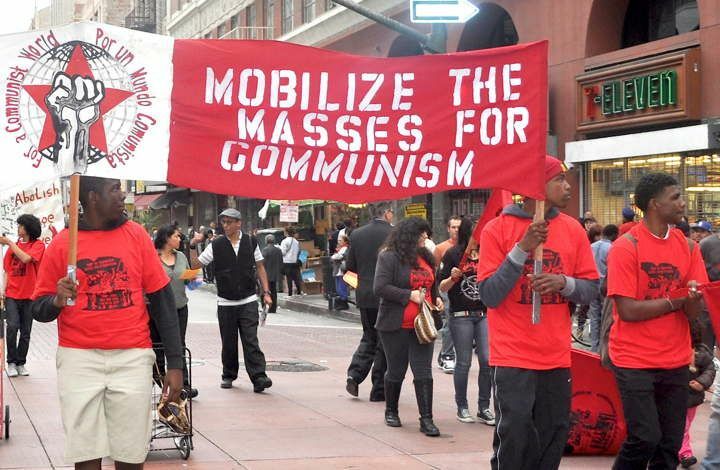 It is this sophisticated Gramscian plan, and not the more brutish Marxist idea of simply seizing power by force, which has guided leftist thought in America since WWII. And it is why the media and education have, over time, been slowly turned into engines of leftist propaganda. Gramscianism matured into "critical pedagogy" which is the real-world application of his educational theories, and countless left-leaning young adults have for decades been nudged toward careers in education and the media. 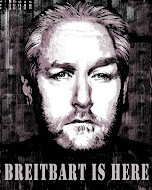 Some time ago, we crossed a threshold in which the Gramscian infiltrators no longer had to ply their trade surreptitiously, but became the majority in the media and in education, and after that point the process accelerated rapidly as they took over both fields and turned them into ideological weapons. I tried to look at where did the the kind of learning we do in schools, where did it come from? And you know you can look far back into the past, but if you look at present-day schooling the way it is, it's quite easy to figure out where it came from. It came from about 300 years ago, and it came from the last and the biggest empire on the planet. Imagine trying to run the entire planet without computers, without telephones, with data handwritten on slips of paper and traveling by ships. But the Victorians actually did it. What they did was amazing. They created a global computer made up of people. It's still with us today, it's called the "bureaucratic administrative machine." In order to have that machine running, you need lots and lots of people. They made another machine to produce those people - the school. The schools would produce the people who would then become parts of the bureaucratic administrative machine. They must be identical to each other. They must know three things: they must have good handwriting because the data is handwritten, they must be able to read, and they must be able to do multiplication, division, addition and subtraction in their head. They must be so identical that you could pick one up from New Zealand and ship them to Canada and he would be instantly functional. The Victorians were great engineers. They engineered a system that was so robust that it is still with us today, continuously producing identical people for a machine that no longer exists. I will come back to this later when I delve deeper into the education portion of this post. 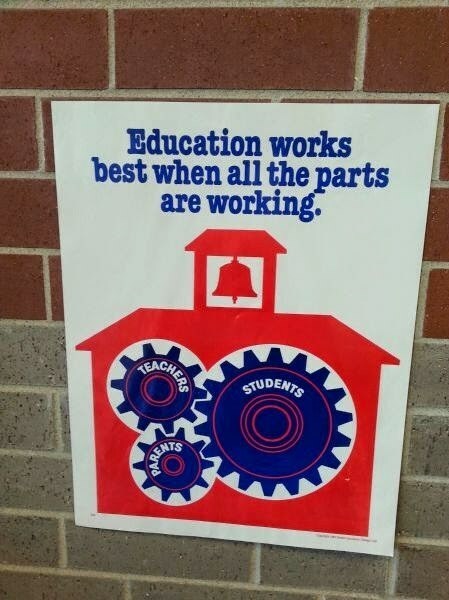 So the purpose of "public education" isn't so much educating, it's building dependable uniform cogs for a machine run by elites. As I have noted in the past, despite the inspirational rhetoric of Jefferson in the Declaration of Independence and President Lincoln in the Gettysburg Address, the purpose of governments has always been, until the American Revolution, to protect and expand the power and privilege of the powerful and privileged, not the protection of the individual rights of the cogs, not to be "of the people, by the people, for the people." Referring back to that first Gatto link, you'll note that our Founders were, as they pretty much had to be, self-taught. That has changed since the late 18th century, at first slowly, but exponentially. Angelo Codevilla, Professor Emeritus of International Relations at Boston University, calls this "elite" our Ruling Class. Laws and regulations nowadays are longer than ever because length is needed to specify how people will be treated unequally. Our two parties have become nothing but two wings of the same bird of prey. So our system of Public Education has been largely turned into not only a system to crank out identical cogs, it also serves as a place for political indoctrination, and a place to ensure that a love of learning is beaten out of those cogs. The political Left, once referred to as "the loyal opposition," has been suborned by Marxists in order to pursue their holy quest for the Utopia promised by Marx. Marxism promised the birth of the "New Soviet Man" as a spontaneous outcome of a Communist society, but that has never occurred. 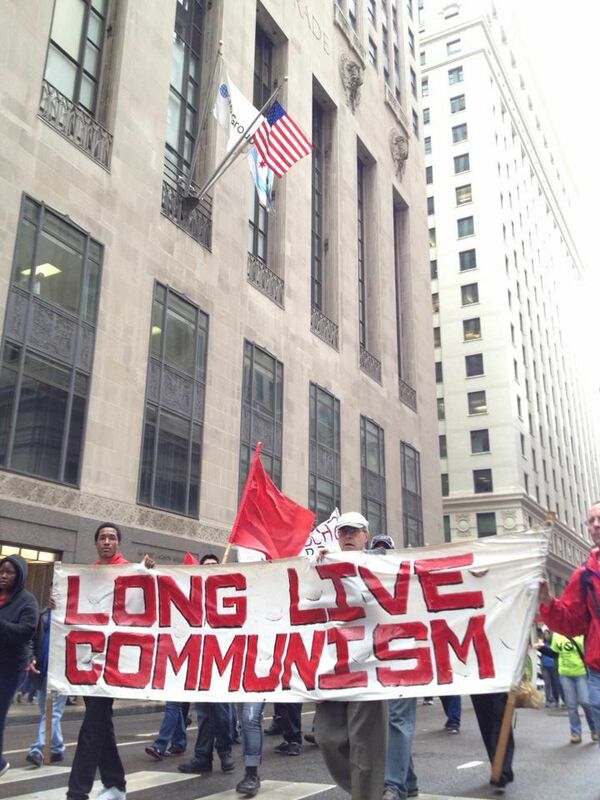 Of course, the counter argument is that none of the societies that call themselves Communist actually have been. "True communism has never been tried!" 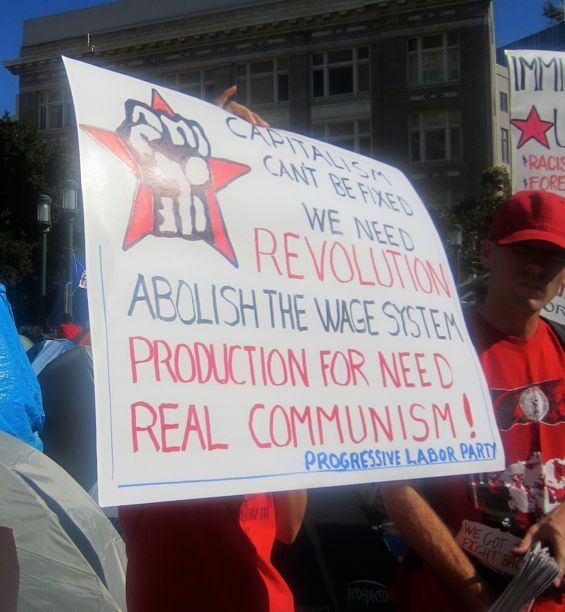 But the supporters of Marxist philosophy eventually concluded that Gramsci was right, those men are required in order to achieve "True Communism" instead of them spontaneously springing up after "the Revolution." The New Soviet Man had to be made, and the public education system has been the primary tool, along with the entertainment and information media, to pursue this goal. To some tiny extent it has been successful. In other significant ways it has spectacularly failed. Sowell calls one worldview the "constrained vision." It sees human nature as flawed or fallen, seeking to make the best of the possibilities that exist within that constraint. The competing worldview, which Sowell terms the "unconstrained vision," instead sees human nature as capable of continual improvement. The American Revolution embodied the constrained vision. "In the United States," Sowell says, "it was assumed from the outset that what you needed to do above all was minimize [the damage that could be done by] the flaws in human nature." The founders did so by composing a constitution of checks and balances. More than two centuries later, their work remains in place. The French Revolution, by contrast, embodied the unconstrained vision. "In France," Sowell says, "the idea was that if you put the right people in charge--if you had a political Messiah--then problems would just go away." The result? The Terror, Napoleon and so many decades of instability that France finally sorted itself out only when Charles de Gaulle declared the Fifth Republic. So President Trump got elected to the shock of almost everyone, everywhere. No one in the political establishment, entertainment or information media could understand it. He was despite his wealth and education not part of the Ruling Class, but he was President and a danger to the status quo so everyone who is part or imagines themselves part or wants to be part of the Ruling Class has agreed that he won illegitimately and must be gotten rid of regardless the cost. All those people who voted for him? Moronic knuckle-draggers, Christian fanatics clinging to their faith, evil gun owners clinging to their pseudo-penises, evil greedy capitalists clinging to their ill-gotten gains, white supremacists longing to bring back slavery, etc, etc, etc. In short, the non-human enemy that cannot be reached so it must be wiped out. You know, like Hitler and the Nazis. The American Left is most strongly concentrated in urban and suburban areas. As previously noted, they control the information and entertainment media and the entire education system from Kindergarten to post-graduate. They therefore think that almost everyone thinks like they do. They swim in waters that they don't ever think about. But the people who elected Trump exist in large quantities nationwide. The Left doesn't consider that number. It's their blind spot. These people live in "flyover country." When Trump appointed Betsy DeVos as Secretary of Education in 2017, the Left came further unhinged. DeVos, we were told, was unqualified, unprepared, "fundamentally incompetent," a zealot, and - to the Teacher's unions - apparently Gozer the Gozerian because she is enthusiastically in favor of education vouchers and school choice. Something the teachers unions vociferously oppose. You'll notice that our "Ruling Class" already practices "school choice." Their offspring attend private schools. School choice is not enough. We need to nuke the whole thing from orbit, and make the rubble bounce. I used to teach people how to write computer programs in New Delhi, 14 years ago (1999) , and right next to where I worked there was a slum. I used to think how on earth are those kids ever going to learn to write computer programs? Or should they not? At the same time we had lots of parents, rich people who had computers, and who used to tell me "You know, my son, I think he's gifted, because he does wonderful things with computers. Oh and my daughter - surely she is extra intelligent." and so on. So I suddenly figured that how come all the rich people are having these extraordinarily gifted children? What did the poor do wrong? I made a hole in the boundary wall of the slum next to my office, and stuck a computer inside just to see what would happen if I gave a computer to children who never would have one, didn't know any English, didn't know what the Internet was. The children came running in. It was three feet off the ground, and they said "What is this?" And I said "Yeah, it's, I don't know." They said "Why did you put it there?" I said "Just like that." And they said "Can we touch it?" And I said "If you wish to." And I went away. About eight hours later, we found them browsing, and teaching each other how to browse. So I said "That's impossible, because- You know how is it possible? They don't know anything." My colleagues said "no it's a simple solution. One of your students must have been passing by and showed them how to use the mouse." So I said "Yeah, that's possible." So I repeated the experiment. I went 300 miles out of Delhi into a really remote village where the chances of a passing software development engineer was very little. I repeated the experiment there. There was no place to stay, so I stuck my computer in, I went away. I came back after a couple of months, found kids playing games on it. When they saw me they said "We want a faster processor and a better mouse." So I said "How on Earth do you know all this?" And they said something very interesting to me. In an irritated voice they said "You've given us a machine that works only in English, so we had to teach ourselves English in order to use it." That's the first time as a teacher I've heard the words "teach ourselves" said so casually. Please watch the entire 22 minute video. It's important for your understanding of the rest of this essay. If you've not seen it before, it'll knock your socks off. If you're unfamiliar with the man, watch several more of his presentations. But Self Organized Learning Environments and the School in the Cloud answering "big questions" are also not enough. Human beings need to be able to do simple math in their heads, to at least understand algebra, to read with comprehension and for enjoyment, to understand history, both Western and worldwide, to understand how different governments work (or don't), and much more. In addition they need to be able to apply their knowledge to reach logical rather than emotional hypotheses and test them. They need to learn skills that have been, as Mike Rowe observes, abandoned in the pursuit of mostly useless, incredibly expensive college degrees with the specious promise that a piece of paper guarantees a well-paying career, thus leaving society with a disdain for jobs that require physical labor as somehow inferior and degrading. And they need to be taught a work ethic. I like Mike's take on it. While there are autodidacts (I'm one when it comes to American history, education and Constitutional law), I don't think many people are. Those people who aren't need some direction, some pressure to learn. Generally it's pursuit of better employment opportunities, but those are adults. We're talking here about primary education. Again the Internet has become the place to go for everything from mathematics to chemistry to ancient history, to just about anything you can imagine, but someone has to provide that content and point kids at it with interest in learning it. As far as content creation is concerned, there is multiple-degreed former hedge-fund manager and now The Most Influential Person in Education Technology, Salman Kahn, who in 2004 was tutoring his niece in mathematics long-distance using YouTube, Yahoo Doodle, a $900 desktop from Best Buy with a $200 microphone, and a closet as an office. Sound familiar? I grew up with plenty of smart people. They would beat me at chess, they could solve brain teasers before I could, but then they would struggle in algebra. These were incredibly smart people who simply did not have the foundation in math that I had. I saw the same thing with my cousin, Nadia. She had actually gotten “A”s and “B”s in every math class. Despite that, she had some serious gaps in her knowledge that became more significant as the content became more difficult. These gaps are due to the Prussian system - all students arrive in the classroom at the same time, are lectured by a teacher who has little to no time for individual attention but must finish the lecture before the next bell rings and then gives homework to the students to be turned in the next day. As he has said many times, would you construct a building this way? His example is that a contractor is hired to build that building, with a rigid time schedule. The contractor has X number of days to pour the foundation, regardless of weather or anything else. When the inspector shows up, he says "Well the concrete isn't quite dry here, and there's a crack there. I'd give it an 80%." Well, 80% is a "B" and that's good enough, right? So the contractor proceeds. But when they get to the 4th floor, the entire structure collapses. Who's at fault? With the Kahn Academy the lectures are viewed at home where you can back them up or simply repeat them until you've got the idea. Only then are you given problems to work, which can be done in the classroom in collaborative effort with five or six other students helping explain anything the struggling student still doesn't quite grasp, just as Dr. Mitra's SOLEs are set up. Software keeps track of the student's performance by providing those questions to solve, and once the student gives a sufficient number of correct answers in a row it determines that the student has shown mastery of the idea and allows moving ahead to the next concept. Each child learns at a different pace, with some progressing rapidly and others needing more time. The Kahn Academy model is the very definition of "No child left behind." The critical thing is, short of a mental disability your kid isn't necessarily more brilliant than other kids but they're all a lot brighter than we give them credit for. It's just that our "education" system forces them to not learn. Back when I started this post literally years ago Kahn was working with a public school and concentrating on mathematics with this reverse system. I found an article about it which I can't find now, but I do remember that the class he was working with was something like sixth-graders. One student really grasped math. She had advanced to Calculus in a very short period - a class I had to work hard to get into my Senior year of High School in the Prussian system. There were nine of us in that class out of about 200 Seniors. She was maybe 12 years old. But what struck me was a comment by one of her teachers: "How do we slow them down?" We shouldn't, but that "teacher" should be fired. I refer you back to that quote from the Underground Grammarian. Kids learn, as Dr. Mitra has found, when they are intellectually challenged. They learn at different rates, as Salman Khan has exhaustively documented. And they generally learn best when allowed to collaborate in small groups, receive enthusiastic reinforcement from adults, and are otherwise left alone to teach themselves. No wonder the teachers unions are afraid. They're pretty much not needed, and are instead an anchor slowing if not preventing not "education" but learning. The money thrown at "education" has no effect, but the education establishment constantly blames a lack of sufficient funding as the root cause of the failure of the education system, so more and more money gets poured down that particular rat-hole. And where does that money go? Not into infrastructure, not into the classroom, certainly not into the pockets of teachers, no matter how good or bad they are, but into the pockets of an ever-expanding army of bureaucrats that "administrate" or monitor students for things like political correctness and diversity and tolerance. Like all government programs, failure means "throw more money at it." In addition children need to be challenged and allowed to work with both their brains and their hands to learn useful skills. That opportunity could come from access to "Maker Labs" now springing up, albeit slowly, around the country. Hopefully the growth of these learning centers will also be exponential. The problem here though is that such labs are expensive to establish, to stock and to maintain. That money has to come from somewhere, and the Ruling Class has no incentive to provide that funding, given that it does not produce the dependable, uniform cogs they depend on. I posted this several years ago, but I thought it appropriate to repost with an update. Does anyone doubt that the enemy wants to do that here? I recommend that you read Steven Den Beste's latest (2006) piece, The Disunited States of America, but remember this: Disagree all you want, but when you start working for their side, don't be surprised when the rest of us roll right over the top of you, leaving nothing but a smear. I'm sorely disappointed with my fellow man seventeen years down the road from the initial attack. During my second, third hospital stay? my daugter set up a GoFundMe fundraiser, and - being cogent - I told her to take it down. She did. But the first 2-3 days of my last hospitilization, "I wasn't all there" puts it mildly. I'm currently on short-term disability, and I need a replacement liver. My health insurance is great, but there's only so much it covers so my wife told her to fire it back up again. She raised $10,140 over a very short period, almost exclusively from readers of this blog. Other bloggers such as Say Uncle (and I don't have a complete list) linked to it. Lots of encouraging comments were left with the donations, along with a lot of praise for the contents of this blog. All I can say is, I'm humbled and grateful for all of you. Thank you from the bottom of my soul. Thank you for letting me join this tribe, where I have met, both online and in meatspace, some of the finest human beings anyone could ever know. "Thank you" is inadequate for what I feel, but it's the best I can do. I'm pretty damned sick, but I'm still kicking (weakly). So far I've had four hospital stays: Memorial Day through the following Friday, July 10-14, August 11-14, and August 15-24. I've been "not right" since at least January, beginning with severe swelling of both legs. The first hospital trip was due to that. Diagnosis: non-alcoholic cirrhosis of the liver. (That means "lots of scar tissue to the point the liver don't do it's job much.) Second trip was due to internal blood loss from a gastric ulcer combined with blood thinners I'd been taking since May of 2017. I had about half my normal blood volume. Felt great for for a couple of weeks after being given three units of blood, then August 11 I didn't feel great anymore. Lots of blood tests, lots of medication adjustments. After being discharged from the hospital, I collapsed at home the next evening, so back we went. Seems your kidneys don't work real well if your liver isn't working right, and also if your liver isn't working right, nasty crap like ammonia builds up in your bloodstream. I "lost" a couple of days there I literally have no memory of. Took about a week to get my brain fully back online. For an engineer, it's scary to realize you cannot do simple arithmetic in your head. So I've been at home now since 8-24, and I'm setting up "Short-term disability" until I can get some strength back, at least enough to get into my office to start doing some paying work. So if' you've been wondering where I've been, now you know.